Rocktron's Boutique Series effects feature durable metal casings with laser etched artwork to create a rugged, eye-catching line of pedals. 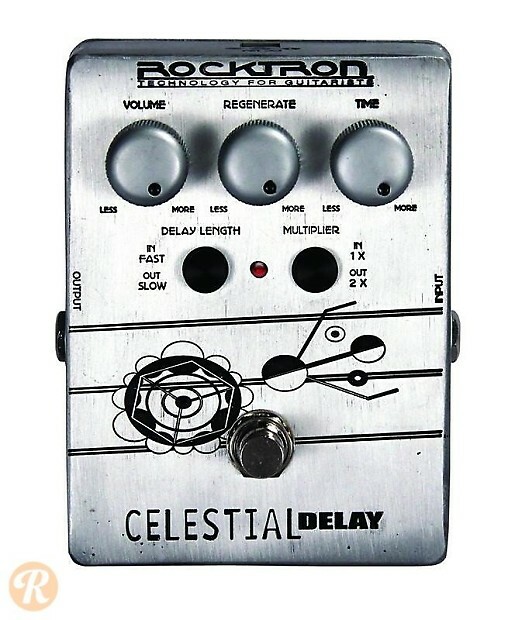 Rocktron's Celestial Delay is a true bypass, analog delay designed to give you classic echo sounds in a reliable package. Knobs to control Volume, Regenerate (Feedback), and Time, as well as a pair of switches to respectively shift the Time knob to a longer set of options or double the current setting give you the tools to create shifting delayed signals up to one second in length.